Leading Authorized Retail Dealer of gi pipe fitting, gi pipe fittings - fm/ul approved and ductile iron pipe fittings from Mumbai. 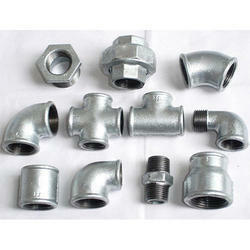 We provide our customers an excellent quality range of GI Pipe Fittings, which are manufactured from high grade quality raw materials. Our products are FM and UL approved. 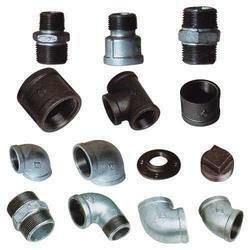 The Pipe Fittings are made by using latest technology and manufactured according to the spcified standards. The G.I. 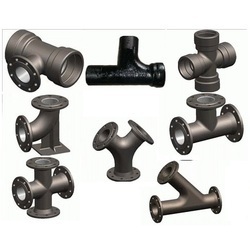 Pipe Fittings offered feature flawless construction standards and are malleable pipe fittings that provide for best usage support in different end applications these are used in. Pipe fitting products are widely used in construction, shipbuilding, water supply, gas, plumbing, hose fitting, power and chemical plants for controlling oil and water and any liquid flow.